Home»What's your national dish - or, is there any such thing? In doing research for an article I've been writing, I was a bit surprised to find out that the two most popular dishes in Japan - often referred to as the "2 big national dishes" (二大国民食) - are not the foods that Japan is most known for elsewhere, like sushi or miso soup. They're actually two fairly recent imports, albeit heavily adapted and changed from whatever original dishes inspired them: ramen and curry. But I guess their popularity makes sense, since both are filling and fairly inexpensive comfort foods. 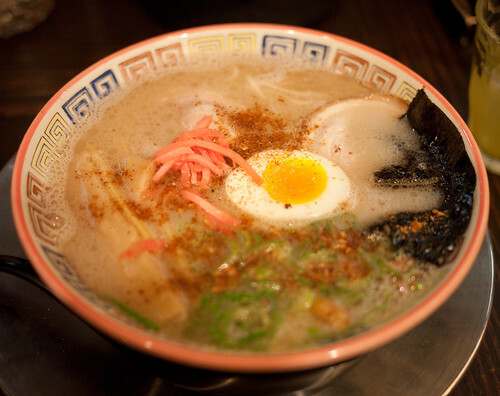 The relative newness of ramen and curry may actually help them have nationwide appeal. A lot of older foods came into existence in various regions in the days before mass communication and advertising and transportation and so on, and in some cases their appeal remains regional. For instance, while natto is available anywhere these days, people in the eastern part of Japan tend to like it a lot more than people in the west, who didn't grow up with it. There's actually many kinds of regional sushi too - the kind that's become universally popular is Edomae, or Edo (old Tokyo) style. Even the kind of rice people prefer varies by region. People in the Tohoku area tend to prefer rice that's less sticky, while people in southern Kyushu favor sticky, slightly sweet rice. I then started looking into what the "national dishes" of other countries were. And again, you run into the same problem I think. For example the Wikipedia article on national dishes lists pot au feu and crêpes as the national dishes of France. I know plenty of French people who would beg to differ with that. Crêpes (or the savory version made with buckwheat, galettes or galettes bretonnes) are a staple of the diet in the Bretagne (Brittany) region, but you barely see it at all in say, Provence...unless you go to a special crepe restaurant. Or how about the Wikipedia listing for Switzerland, fondue? Sure, fondue is popular - in certain regions of Switzerland. And fondue is what tourists expect when they visit the country, so that's what they often do get in restaurants. But in the Zürich area where The Guy was born and raised, traditional dishes are things like sausages with bread or rösti (shredded potato pancake) or Zürigschnätzlets, a creamy stew with veal. Or how about the U.S.? Again, Wikipedia lists hamburgers and apple pie - but really? What about pizza (but what kind? Deep dish Chicago style? New York style?) or barbeque (what kind again?) or... You get the idea. Submitted by maki on 2011-08-12 22:30. Poland's easy - pierogi (which may actually be an import from China via the Mongol/Tatar hordes!) People rarely have time to make them at home anymore, except for special occasions, but there are dozens of restaurants specialising in them. Mind you, I love when we do have time, with three generations of women in one kitchen, making pierogi and gossiping. Mind you, apart from pierogi I'd separate "most popular to make at home" (breaded pork cutlet + potatoes + sauerkraut) from "most popular eating-out food" (donner kebab!) and would rather award "National Dish" to bigos, an amazingly savory concoction of sauerkraut, cabbage, wild mushrooms, and whatever scraps of fresh and cured meats happen to be at hand. It's one of those winter dishes that tastes best when you've been reboiling the same pot for a week, and I cook it for at least four hours before dishing out the first portions. Regional ;) I haven't had Golabki in 15 years! Well, first which came to my mind were soups made on a fermented base, such as kapuśniak (made with sauerkraut), żurek (made with rye sourdough), czerwony barszcz (made with beetroots)... they're quite distinct to Polish cuisine, and actually only other soup I know of using pre- fermented ingredient as a base is Japanese miso. Btw, did you know that Polish biały barszcz, which is now most often realized as just a milder version of żurek, further smoothened with highier amounts of sour cream, was originally made with pre- fermented leaves of barszcz, en. common hogweed, hence the name? And in some parts of Poland when the use of these leaves was abandoned, it was substituted with the juice of sauerkraut or pickling water from cucumbers, so the distinction between żurek and biały barszcz survived? ;) just a curious fact. Also, czarnina, a soup made from duck stock, with the addition of duck blood. And rosół, hen and vegetable stock with homemade noodles with dough one of whose ingredients is liver. That ramen looks absolutely wonderful! It's hard to pick popular dishes for the US because we're a nation of everyone and we sure do enjoy all the food influences everyone has contributed. Plus, we're young compared to others. How about apple pie, macaroni and cheese and roast turkey? I agree. The United States is a bit tricky. I will say that here in Nebraska we have a regional dish influenced by German immigrants from the 19th century. They are buns filled with seasoned hamburger and cooked cabbage. We have a fast food restaurant which serves them and they are quite popular. They are also common in school cafeterias. Here in Kansas we call those bierocks, but up in Nebraska I hear they are called runzas? They are very delicious things, kind of like chinese baked bao. There's a reason people still use the phrase 'as American as apple pie', so that really must be on the list. Roast turkey and mac'n'cheese makes sense, since they're common dishes for the very American Thanksgiving feast. I'd have to go with hamburgers, though. If for no other reason than the fact that McD's and Burger King and others made their fortunes on them. BBQ is delicious, but somewhat of a more Southern obsession, especially in Memphis, TN. It is true that there are quite a number of foods that the US is known for. But I do have to go with the hamburgers & apple pie. Sense hamburgers were invented in the US and are popular no matter what part of the country you are in. But the roasted turkey would really have to be the biggest for uniquely American. Things like pizza while the US made it popular was brought back buy GI's returning from Italy after WWII. BBQ while popular is really more a regional thing and can vary from state to state. I think mashed potatoes and gravy would have to be on the list, particularly if roast turkey is there. Well, here in Brazil it's kind of regional... anyone would say feijoada, but where I live black beans aren't that popular, opposed to the southeast where that's almost the only kind you can afford to buy. In the Northeast region (where I live) there's a lot of regionalisms as well and each state has its typical foods.. up north is even more difficult to get a consensus, they eat very distinct food because of the proximity to the rainforest. So I would say 'caldinho de feijão' (beans broth), feijoada, and my topmost favorite one, 'baião de dois' (green beans and rice cooked together)which is more regional. Uh.. I guess beans would be the national ingredient, and of course caipirinha the national drink (though we drink more beer...)! That's some difficult question, even more in a gigantic country like Brazil! The little cheese and cassava starch breads are called chipa (cheepa). They're typical food from Paraguay, but there are versions of the same thing in most of the surrounding countries. I think that a pretty good example of really traditional food of South America is locro. It is in one form or another in almost every latin country, that's beacuse is a pre-columbian food with deep roots in the indigenous populations. Locro is a kind of stew made primarily of pumpkin, corn, beans, and some meat, usually pork including pig feets, ears, bones, etc. (at least the argentinian version). The recipe varies from region to region, and country to country but the name and building of the dish are basically the same. Locro has recieved spanish influences since the conquest (pimenton, salted pork bones, chorizo, etc.) that make make it closer to what is known as cocido in Spain. It's not very popular in some places because of being considered poor men's food, but it's a constant in this latitudes, like bread in Europe and rice porridge in Asia i think. Very interesting! I know those cassava breads just as pao de queijo. And locro, which I know from Ecuador always contains potatoes! Pão de queijo. Popular snack, but not around here.. more at the central and southern states, being the best (and most famous ones) made in Minas Gerais. Other snacks include brigadeiro (must have at every kid's party - no exceptions!-), coxinha and other yummy treats... i'm hungry now! It may be chipa (pretty common on my stade, because of the influence from Paraguay), or Pão de Queijo (that literally means cheese bread, anyway :P). The USA does get rather a bashing with people saying we have no national cuisine or saying it's nothing more than hamburgers. That's deeply unfair and I think, as Maki points out, barbecue is one of our unique and fine examples of American cuisine. Now that I live abroad I think of some strange things as American in such a way that they remind me of home. Maybe that's what makes a national dish as much as what people in said nation choose to eat. Macaroni and Cheese is one that stands out, as well as cranberry sauce and potato or macaroni salad. Dare I mention tuna casserole? I love it. Oh, and brownies! And hot fudge sundaes! Ice cream cake isn't one I miss that much but it is very American and it's also really popular, at least among my friends and family. As a New Englander real clam chowder, clambakes, lobster rolls, and snickerdoodles can't be forgotten. Maybe chowder is the American dish. A decent Caesar salad can't be had for love nor money outside of the 50 United States and it's so popular even fast food outlets offer some horrible rendition thereof. The classic Fawlty Towers episode also requires me to mention Waldorf Salad. The cafe near my former work used to serve a rather atrocious "American Beef Wrap" that included roast beef and gherkins. I'm not sure what made it so revolting, but I tried it once and... never again. There are a couple of restaurants serving "American" food in Zürich, and as far as I can remember (haven't been to one in years) they serve things like hamburgers with fries, pizza, chili and the whole Tex-Mex range...quesadillas, burritos, etc. I am not sure Americans would classify those as American fare (though it really is an American adaptation of Mexican food I guess) though! Well, the US has no NATIONAL dish. When they speak of a melting pot, we're what they speak of. If there WAS a national dish,- that is, one eaten everywhere and by almost everyone, that would have to be the humble Hot Dog. But even there, the variations verge on the insane. From the simple New York style (Mustard and sauteed onions on a simple bun) to the Chicago (a specific sausage, on a steamed poppy seed bun with mustard, bright green relish, onions, peppers, tomato wedges, a dill pickle spear AND celery salt-- more veggies than dog!) the possible variations on that dish are almost infinite. The only common ground that hotdog fans - serious ones-- have is that after the age of twelve you do not put catsup on a dog. And even there some would disagree. And they better be Vienna Beef Company dogs. Oh, now I miss Chicago. Boston doesn't have a hot dog to compare. Well, if you're ever in Evans GA, look up Papa and Sons, a small joint run by two Chi-town expats. They import real Vienna Beef franks, the relish, the buns-- everything but the onions (because Georgia actually has better onions). True and genuine. Except now we are seeing a lot of immigration from middle eastern and indian countries - people that would never eat a hot dog. In the area I live in, Indian cuisine is extremely popular - and not pseudo-american indian cuisine, these are people that are first generation indian immigrants living mainly in the northeast, I suppose. But you are correct with it being a melting pot, which leads to no national dish. As each new wave of immigration comes, they bring with them their own cuisine, and add to the variety of the US. The US is not the country it was 60 years ago, when hot dogs and hamburgers were the some of the most popular foods. As the demographics shift in the US, so does the food we eat. "That's deeply unfair and I think, as Maki points out, barbecue is one of our unique and fine examples of American cuisine." It's an example of American cuisine, but I really don't think it's a national dish because it's so regional. Where I come from barbecue is just synonymous with grilling but in other parts of the country it means very specific things. The US has a lot of regional cuisines but I really don't think there are any national dishes enjoyed universally. There are a few. Turkey with cranberry sauce, hamburgers, perhaps macaroni and cheese. Maybe even "French" fries (I don't know of another country, except for Belgium, where they're so universally eaten). But you're right, we're a huge diverse country, and it shows in our food. I know what you're saying about 'cue styles but lots of national dishes have regional variations. Ramen is but one example of this, pizza another, and so on. I hope you're not forgetting about us Canadians or trying to group us into the US, because many of the foods you listed, while American classics, definitely remind many Canadians of home as well! And maybe it's because we have a gourmet burger overpopulation here in Toronto, but "nothing more than hamburgers"? Hamburgers aren't anything to be ashamed of; they can be really great! As for the Caesar salad, I had one of the best of my life at a restaurant in Paris, and I've had some pretty good ones here in Canada as well. I live in Bermuda, and our three main dishes that we consider national dishes are: codfish & potatoes, fish chowder, and cassava pie. Codfish & potatoes is a traditional breakfast dish which is simply boiled codfish and boiled potatoes but is served with a tomato based sauce, sautéed onions, avocados, hard-boiled eggs and ripe bananas. Fish chowder is a red soup, and as many varieties as here are people who cook it, but it's usually served with the local black rum and sherry pepper vinegar to add into it. Cassava pie uses ground cassava instead of flour to bake this heavy cake, and has a layer of boiled chicken running through the center of it, and the juice left over from boiling the chicken is poured over the top to moisten and brown the pie. This is a traditional side dish or dessert (similar to the American cornbread) that's usually eaten at Christmas or during a local midsummer holiday. Ok my three top national dishes for the united states are- Pizza, hamburgers, and chinese food. How's that.... ha ha. That makes me think of that football song "Vindaloo" by Fat Les that was popular during the 1998 World Cup. The lyrics were basically, "Vindaloo, vindaloo, and we all like vindaloo! ENGLAND!" Weird. I think it's interesting that out of the two dishes, one is a classic cook at home food (curry) and the other is a dish you go out for (ramen). For the UK, Spag Bol (which has only a passing resemblance to spaghetti bolognese) might well be the most popular make at home dish. Fish and Chips or curry being the take out choice. I personally think of a full English Breakfast - which will include beans on toast - as the national dish here. There are regional variations but it's recognisable as a classic fry up throughout the UK. For Spain, there's the tortilla de patatas which is a favourite throughout the country and also remains recognisable within the infinite variations, but the dish that to me seems to epitomise family meal times is a soup bowl of chicken stock with fideos (short pieces of thin vermicelli type pasta). A classic lunch is summed up in a song about the menu of the day in the local "Bar Rambo" where the majority of the menu is written in white paint that won't rub out and the rest chalked in. First course: .... soup. Second course: ...... with potatoes. Dessert: seasonal fruit . includes bread, a carbonated 'mixer' (similar to 7up) and table wine. Unfortunately, Spaniards are much more likely nowadays to go for a Kebap than to go for the increasingly expensive menu del dia or a spit roast chicken from the pollastre. In Britain it has to be the Full English Breakfast , the sausage roll and the Cornish Pasty . The pasty may have started out as a regional dish but now all supermarkets , corner shops and garage shops sell them . It surely must be Roast beef and Yorkshire puddings?!?! The French even call us Les Rosbif! I wouldn't think that Spag Bol would be a national dish at all, especially as based on Italian cuisine. Fish and chips would be fairly high on the list, and haven't people said that Chicken Tikka Masala is now our national dish?! A Spaniard here. I totally agree about the tortilla de patatas (or papas, as we say in my region). As for the menu of the day is becoming too expensive as you said, but there's still a lot of people who go for the roast chicken as a take away option for lunch. There are three of that kind of restaurant in my area and a new one opened recently. My other options for national dishes would be the ensalada and the bocadillo. Ensaladas or salads in Spain are a common dish in every menu and every house; and it's got a something that makes them different, though they are very simple (lettuce, tomato, onion, cucumber and olives as basic ingredients and salt, olive oil and vinegar as dressing). The bocadillo, wherever the filling, is national fave for take aways, picnics, suppers, fast food... So a bocadillo de tortilla (omelette sandwich) will be the number one national dish. A lot of people enjoy paella, but I'm not a fan of it, so I'm going to leave it outside this. My husband (Japanese, but spent a considerable chunk of his childhood in Spain) agrees with you, he also thought the bocadillo would be the national dish. Except for him the defining example was ham and cheese. For me it was chorizo. My preferred bocadillo now is with squid rings cooked in batter - preferably with a glass of Asturian cider. The bocadillo has just too many variations! In Alicante, the chicken on a spit places are closing down and Kebap places are springing up like teenage acne. In a few more years I predict that the Kebab will be a contender for the entire World's 'national' dish. I agree with tortilla de patatas, but I would say paella needs to make the top as well. I'm not a fan myself, but you can't deny it is one of the most popular dishes, and not only in Valencia- it is a typical Sunday lunch in places as far away as Asturias and Galicia. And tapas, of course, but you can serve almost anything as a "tapa"- what about a Serrano ham tapa? and the national drink, of course, is Coca-cola. We are a sweets-loving people, known for walking and eating at the same time. Very good case! I have known several Americans who traveled with a jar of "emergency" peanut butter...especially in the days when food in the Eastern part of Europe tended to be rather dire. I agree. A very sensible list, so wonderfully American, although P&B sandwiches are not my favorite. Add the aforementioned hot dog (in all of it's variations!) & I agree!! There actually isn't any. Not only because no dish is popular in the whole country (I think a few dishes are, like pizza), but because the dishes on the "Croatian autochthonous cuisine" list pretty much all belong to some other national cuisine. Some of the dishes Croatian lawmakers claim are autochthonous Croatian are: head cheese, oysters, blood pudding, prosciutto, pancetta, tuna in oil, Krautfleckerl, potato gnocchi, potato soup, tomato soup, pasta e fagioli, tripe, beefsteak, sarma, (buckwheat) kasha, Knödel, tomato salsa, biscottini, Buchteln, Kletzenbrot, cotognata, Honigkuchen... Of course, most names are transcribed to Croatian language to hide their origins. This list is a national embarrassment. Admitting that Croatian cuisine is a combination of the cuisines of neighbouring countries would help Croatian tourism much more. What about blitva s krumpirom (potatoes and swiss chard? ), rakia (distilled liquor made from fruit), grilled fish, ajvar (bell pepper relish), cevapi (grilled minced meat), kajmak (kind of a cheese), palacinke (crepes) - these are the foods that I found uniquely croatian when I lived there. As for my native country, Finland, I think the most common food is probably "Paisti" - a generic name for any kind of meat stew served with potatoes. The things I miss most as an expat are karelian pies (small pies filled with rice), the unfortunate-sounding liver casserole, spinach pancakes, and rye bread. Neither is exclusively Croatian, which is OK, because Croatia is a tiny country and rakija, ajvar and čevapčići can be considered ex-Yugoslavian / Balkanian dishes (ajvar is also called Serbian caviar). Not sure about potatoes with Swiss chard, don't Italians have the same dish? Palačinke are even more widespread (Palatschinken in German). Actually, Croatian lawmakers are ashamed of čevapčići (they're not on the list). When a food company used a photo of Dubrovnik on a package of čevapčići sold in Germany, they initiated a diplomatic action to remove it. Čevapčići don't fit the desired image of this country. Rakia, cevapi and kajmak are of pan-Balkan/Turkish/Ottoman origin. You can find the same things in Turkey under the names raki, kebap and kaymak for example. I live in Belgium and i would say Belgium's 'national dish' is French Fries^^ Belgians are really fond of their fries and the whole take-out french fry culture used to be huge. That is, of course,until doner kebab became really popular. Yup, for Belgium it's definitely fries (not French, their Belgian - we invented them or at the very least perfected them). So moules-frites or steak-frites would be a good national dish. And Belgian endives in ham and cheese sauce would make the list too. Btw, doner kebab was "created" by Turkish immigrants in Germany, I was told it wasn't very common in Turkey at all? Canadian here. Poutine (gravy and cheese curds on fries) is usually quoted as our national dish, as well as maple syrup. Both are delicious, and I highly recommend them to anyone who hasn't tried them. I agree with the poutine thing. It's origin is Quebecois, though the way it's made varies considerably across the country. And somehow it's made its way across most, if not all, of our fair country! I disagree with Maple syrup - it's a bit of a weird one. Sure it's harvested, processed and common here, but it's not a dish - it's an ingredient or a condiment, just like fiddleheads or dulse. All, I believe, are decidedly Canadian, but a "dish"? Would you call ketchup or vegimite a "dish"? There are very few specific dishes that are common throughout the country, as many other posters have mentioned regarding their own respective countries, and because we're so spread out, many of the regional foods don't make it to other parts of the country. There are several prepared foods that are common (Ketchup chips (crisps), Kraft Dinner and Shreddies come to mind), but other than that, it's pretty much just sweets. So my top three are: poutine, Butter tarts and Nanaimo bars (with Beaver Tails a close 4th). Real beaver tails? Really? How interesting... what does it taste like? not real ones ... I don't know if those are edible! From a tourist point of view, Maple (flavoured anything) and Smoked Salmon would probably top the list - that's all you can find in souvenir shops. Also a Canuck and the first thing that came to mine was indeed Poutine. It's good to know that my fellow Canadians agree! Never had a beaver tail, though I have to say that Nanaimo Bars are more or less a western-Canada thing, aren't they? I don't know if any of you are from east of the Prairies, but I have a friend in Ontario who claims she'd never heard of them. I mean, like any country, Canada certainly has its fair share of regional cuisine. I'm from the West Kootenays in BC and due to the large number of Doukhobors that settled here the local speciality is without a doubt borscht (with lots of butter and cream). It's amazing how every family here makes an almost identical recipe as well! Aww man, all of you guys beat me to poutine, haha. I'm from Toronto, and though I've definitely heard of nanaimo bars and probably had them before, I don't think anyone out here would think of them as a national dish. You see them in bakeries, and everyone has that one friend (who probably has relatives in the west, haha) that likes them, but they're not that popular. What about the Timbit?! I guess other places have "donut holes" but that's just not as much fun, haha. I'm a little late to the discussion but for National dishes I went to that wikipedia entry and saw that Poutine and butter tarts were our national dishes. Hmmm...does anyone not know what poutine is? Its fries covered in cheese curds and gravy. Although you can get Poutine all over the country at fast food restaurants, I don't know of anyone that would regularly make this at home. But maybe people in Quebec do, I don't know. That's where it originated and that's where the Poutine connossieurs are. I happen to live in the west. Butter tarts are yummy but what about them are Canadian? I don't know. I also hear people mentioning Maple syrup as being iconically Canadian and that's weird to me because its only produced in a tiny part of this country. Its not generally produced on the west coast, not in the northern territories and probably not much in the Atlantic provinces, so that leaves Ontario and Quebec. But I suppose that since all Canadians enjoy it it could be called canadian. I'd have to say that roast beef with mashed potatoes and gravy is quite canadian. That's probably what I'd, as a Canadian and a home cook, choose to be a national dish because that's a standard fall back, everyday dish for the common everyday people. At least for us out here on the Prairies. And if we're talking beverages, there's always the illustrious Caesar! Beaver Tails are good too but not top 3, they are such a seasonal item. That's the problem with tourtiere as well. Hmm, maybe it's just me but I've never heard of the Namio (sp?) bars. We have butter tarts year round here. And beaver tails are soooo gooood!!!! Tourtiere, without a doubt. Growing up in a French-Canadian family there was always tourtiere for special occasions. Poutine is such a new invention I'm not sure that it's all that wide-spread yet. Butter tarts are a great Canadian dessert I've never seen anywhere else. As a fellow québécois, I agree that if we have any such thing as a "national dish" anymore, tourtière is still the strongest candidate (it certainly used to be a real national winter dish as widespread and traditional as, say, winter hotpots in Japan), though a lot of people (but far from all families) have stopped making it or eating it over the last two decades or so (usually with the rest of the more heavy going traditional québécois dishes, dishes for people doing hard physical work, not very suited to modern lifestyle). Sugar pie/maple pie might the strongest one when it comes to traditional desserts still popular today. A still widespread traditional summer dish in Québec would be simmered veggies with braised beef. There's no such thing as a Canada-wide national dish, I would think, not even throughout anglophone Canada that is hardly a unified block when it comes to cooking. First there's the cultural divide between Québécois and anglo/french Canadians from the rest of the country even though the dominant influence, even in Québec after the Nouvelle-France period, was british culinary traditions of circa the 18th/19th century, and then there's the fact that within and outside Québec home cooking traditions are very regional, and influenced by different living conditions and cultures (e.g. : there's no Ukrainian influence in Québec or Nova Scotia, but if you go to the Prairies..., or the catholic prescriptions have long influenced French canadian eating habits and we retained a bit more renaissance/baroque French infuence in those dishes, but it had no influence on the cooking of Canadians of british descent). One could list dishes/techniques very popular in Newfoundland, Winnipeg or Vancouver, but they're not popular (and sometimes even not even known, or virtually never cooked) elsewhere. Canada is very disjointed as far as culinary traditions go. Vancouver eventually developped a local cuisine that is very "West Coast", with some Asian influence too, and British influence as well. Québec is now developping a terroir mentality (from local cheese, to local beers and ciders and meat and even veggies) and to return in a way to continental European roots (mostly French and mediterranean) in the last two decades, virtually abandonning British influence except for christmas food (those who still serve the traditional fare then) - aongside the same tendency to adopt dishes, techniques and influences from all over the world in local cuisine seen in most countries these days. The most traditional and festive national dish in Québec (but few Québécois still know about it) used to be a whole grilled salmon, served with verjus made of oseille, with side dishes of simmered root vegetables in a sweet thin broth (not so unlike Japanese simmered dishes, just replace dashi by a chicken bones' or more often onion-veggies broth, mirin by sugar or maple syrup and shoyu by salt, and mitsuba by parsely. This cooking technique for veggies was widespread in Nouvelle-France and, like with the Japanese, preferred to eating raw veggies) and a cooked salad of spring greens and field strawberries dressed with cream. That was served around the summer solstice throughout Nouvelle-France, as well as on other festive occasions in summer. But the days you could catch salmons around Québec City in early summer are long gone, and like most of the other Nouvelle-France cooking traditions, this one vanished rapidly after the British took over (Staple products were from that point on coming from England and British colonies, no longer from France or French colonies, and thus completely changed (vinegars and vinegar based preparations replaced verjus, sugar became more available,, beer and fortified wines replaced French wine, some spices became very rare and others more abundant and so on. Inventories at inns in Québec city a year before and a year after the conquest are very telling. ), and so did the cooking at home forcibly, compounded by the fact that to sell their goods to the British soldiers/notables (as the French nobles and bourgeoisie returned to France), the French Canadians had to cater to their different tastes in meats, condiments and veggies - and switched to those for themselves too, for lack of space/time. Menus at inns changed completely, and eventually influenced the small folk's habits, and the traditional québécois dishes, now very British and later Irish influenced, surfaced eventually (a difference with the anglo-Canadians is that Québécois kept using in those dishes spices with meat in the renaissance fashion that the British more and more reserved to desserts only). Around that time, people switched from fish and olive oil to butter and lard for cooking, started raising cows and pigs for butter and lard and thus stopped hunting as much as they used to, and egg-based dishes gradually replaced fish eating for catholics as the British didn't eat enough fresh fish to sustain the industry. Same for mushrooms that used to be a delicacy in the Nouvelle-France period but that were not eaten by the British at the time). Poutine can hardly be called a "national dish", IMHO. It's a local fast food speciality - distinctive as such things go, and much favored by eaters of fast food, especially kids - and one restaurant in Montréal makes a famous haute-cuisine version (demi-glace for gravy, and foie gras instead of cheese). A large number of québécois, probably the majority, rarely or ever touch that dish, and in Québec it's been banned with the rest of fast food from a lot of schools now. It's neither eaten on a regular basis by most people, nor very often made at home. As for beaver tails, most Québécois don't even know what that is, as here it's still sold mostly in tourist areas in Montréal. The "Gravy/cheese/fries" thing is a fast food invention... "Real" poutine is finely shredded and ground potato wrapped up into a slightly-larger-than-fist size ball with a meat in the middle. It's held together by cheesecloth and boiled for 2-3 hours until a nice pallid grey colour. There's even a culture war between us whether to eat said food with Ketchup (heathens!) or with granulated sugar (the 'right' way). Poutine, Loppe and Craploppe (the "crap" isn't taken from the English meaning, no worries) are really the same ingredients cooked differently. Poutine is a boiled ball, Loppe is almost a savory cake structure and Craploppe is more of a gelatinous casserole. Sounds horrid, tastes great! (I think). I don't know if there's a "canadian" dish but Poutine as I described it would definitely make an "Acadian dish" list. I didn't know there was an Acadien dish of that name (but it's not really surprising). The word is/used to be common to all French America, I think (it also exists in Louisiane, that I've heard). In Québec prior to the 50s it wasn't the name of a dish (not anymore, by the 19th century it was a french name for pudding), it was used figuratively, for a complicated situation (the same way as "a mess") or for some shapeless or weird mix/food. Australia is a hard one, being such a multicultural country we eat such a variety of foods from a range of cultures. Traditionally foods thought of as our national dish are VERY British, like meat pies, fish and chips and roast lamb. But with 25% of the Australian population being born overseas, I don't think that those dishes really represent us as a people any more. They are still up there in the list mind you, but you would have to add things like pasta and pizza, stir-fry and kebabs. We are also experiencing a resurgence of traditional Indigenous culture, and a embracing of natives foods, so maybe Bush Tucker should be our national dish. That list is spot on what I associate with Australian food! And shrimps on the barbie! Lamingtons and Vegemite definitely. A sausage sizzle would be there too - plain beef sausage, white bread, onions grilled with beer and tomato or bbq sauce...I want one now! I agree with this. Go to any cafe in Sydney and you've got at least three cuisines represented, two of which are Asian. I'd submit that chicken schnitzel should be on the list, too. That stuff is UBIQUITOUS. I'm an Australian living in the US and I'd say that vegemite, weet-bix and meat pies are the foods that we ate all the time in Australia. Now that we can't get them we miss them like crazy. I'd say any dish with roo in would be pretty good representation for Australia. Though as an Aussie living in the US the things I miss most are Balfours frog cakes (I was from SA), meat pies and vegemite on hot buttered toast. for bushtucker i guess Damper (sort of like scone bread)? i don't really think that many ppl eat it but it is uniquely ozzie..
agreeing with all thats been mentioned before... and wanted to add.. Chiko roll.. thats pretty australian right? and i really agree with the chicken snitzel/parmi and pub food in general.. I recall meat pies and roast lamb dinners as important dishes growing up in Australia, but our food options have broadedned immensely since my childhood. These days, I would nominate, the baked potato with varying toppings such as: garlic butter; cheese; cole slaw; fried bacon strips; sour cream; chives, any kind of salad with semi-dried tomatoes, and the rotisserie chickens, bought at supermarkets or at "Chicken shops" along with chips (closer to French fries than the traditional style). In New Zealand we would probably mostly agree on roast lamb dinner followed by pavlova with whipped cream and kiwifruit or passionfruit pulp. The roast lamb dinner has to include roast potatoes, roast kumara (sweet potato), roast pumpkin, often roast parsnips and what we call yams but aren't. There is also green peas and mint sauce and gravy. This doesn't mean that we all eat this very often though. It's years since I made it - the last time was for visiting Germans. There is also the hangi, which is pretty much the same foods as the roast lamb dinner plus any other sort of meat, but steamed in an earth oven. The scale at which these need to be cooked rather preclude them being used for every day meals though - best for large gatherings. When I first lived in Kyoto in the mid-70s and keen to learn to cook Japanese food, whenever I was invited over for a meal, I learned, if asked, to request the family's favourite meal (otherwise I found they tended to order in sushi at great expense). After numerous curry meals, I then refined my response to your family's favourite seasonal meal other than curry. I learned such a lot from those mothers, they seemed to enjoy sharing too, once they realised I was genuinely interested and keen to learn technique. As an Australia, I always thought that the national dish of NZ was egg and bacon pie. Then I met my husband (a NZer) and he insists that it's cheese rolls. Cheese rolls are definitely regional. They're a Dunedin/Otago/Southland thing. I had never seen one until I moved to Dunedin at the age of 28. In the North Island, if you asked for a cheese roll you'd get a bun filled with salad and cheese. For anyone who's interested, the cheese roll is a slice of thin white bread rolled up around a mixture of grated cheese and some moist thing like reduced cream with various additives such as onion, then toasted/fried. They are yummy, and are made and sold by mothers fundraising for kindergartens and kids' sports teams in their untoasted state, as well as being available in cafés ready to eat. Another specifically Dunedin thing is the jelly sponge. This is a very light sponge cake in two layers, with whipped cream and a thick slab of raspberry jelly (Jello) sandwiched between them. The rest of New Zealand would make a sponge with cream and raspberry JAM layered between. Not in Dunedin. I guess bacon and egg pie would count - I didn't realise other people didn't have them. Very delicious. 'National dish' does need to be something iconic or that you only associate with that country. if I was going to pick national dishes for NZ I'd nominate feijoa crumble, whitebait or paua fritters, greenshell mussells or pipis and cockles, and a kumara-top pie! smoked eel.... pork & watercress...and some kind of manuka honey vodka cocktail! Mallowpuffs are not really New Zealand. They've had them in Scotland for years, but they're called something else. Whitebait or paua fritters though, they would work. Smoked eel is available in lots of countries, and I'd guess corn fritters would be more American than NZ. All dishes I was excited to eat when we went there. I think for the US I'll only try to talk about regional dishes, and as a Northeasterner living near Philadelphia, I love cheesesteaks, crabcakes and Maryland Crab Soup. Yum! Yes! In addition to those classics mentioned above for the US, crab cakes are definitely a good suggestion! I don't know, I tend to agree with Wikipedia on the pasta thing, rather than pizza. I mean, it's literally all over the place, and almost every region or city has its own type of pasta. I would go for pasta, too: pizza is what you eat out with friends, but pasta is what you have at home at least a few times a week, in every part of Italy. On the other hand, there are the "national pride" dishes that tend to be very local, often just typical of one town, and they are usually something you don't want to eat every day, such as the various polenta + something_savory_and_usually_fat you find in the Alps. Hmm... I would say it's pasta. We could eat pasta every day and in fact my aunt eats a plate of pasta with fresh tomatoes before every meal (although she eats pasta integrale). 2nd would be polenta. I don't know in the south, but here we often eat polenta (accompanied with cheese and bread). If it weren't disputed between us and the Kiwis, I'd say Pavlova was Australia's national dish. Instead I'll go for lamingtons, BBQd lamb leg and damper. Lamingtons I'm pretty sure are an Aussie original. BBQ is certainly not unique to Australia, nor the US, but it's fairly representative of our outdoors (in Spring, Summer, Autumn) lifestyle. And damper adds the historical aspect. As an outsider, I would've said the US's foods were hotdogs, brownies and clam chowder? Or even things like grits and cornbread which seem uniquely American? I'm currently living in Japan and I absolutely agree that curry and ramen are the top 2. It's astonishing how few Japanese recognise these as of foreign origin. So hard to say! I think you can slap them into categories, like festive or celebratory foods, everyday home cooking, and a regional specialty that is popular enough to be attempted elsewhere. Festive? I think Americans love burgers, french fries, and beer. Home cooking that everyone loves? Macaroni & Cheese. Regional specialty--maybe a stretch, but sweet southern barbecue is really special (all barbecue is special to me! ), like perfect pulled pork sandwiches. I really think we're on the same wavelength or something, I posted something on my facebook about eating every national dish (based on the wikipedia) as a life goal when I woke up today! I actually do agree with Wikipedia's naming of hamburgers and apple pie. After all, they are the only two dishes I can think of (besides ice cream) that are almost always present at our Independence Day celebrations. Apple pie is a no-brainer, due mostly to the cliche "as American as apple pie." I agree also with the hamburger because it is the only food strongly associated with America that you really can find anywhere in the country. It's not just a regional thing, though the way it is prepared certainly does vary greatly from region to region, establishment to establishment, and household to household. It's what we prepare for pretty much any organized get-together in the summer, and it is what so many restaurants serving the American classics specialize in. I would add beer to the list of german foods (it's sometimes referred to as "Flüssigbrot", which means "liquid bread"), the Reinheitsgebot was invented here, Germany also has the most brewerys within Europe, and according to Wikipedia the average drinks 109,6 l a year. P.S. I totally agree with the spaghetti with tomato sauße, I don't know a single person who doesn't like it, but I know a lot who would rather drop dead than eat Sauerbraten. Tempura also has roots outside Japan, but I suppose it has (as with curry and ramen) been given a distinct Japanese form. India: There isn't a national dish because a pan Indian cuisine doesn't exist - especially since the regional differences are quite acute. As much as people tend to tout fish and chips, chicken tikka massalla, fried breakfast or even sunday roast as the UK national dish, in my mind there's only one really. I came to the conclusion as this is the one thing all of my friends who have moved abroad miss most about food back home, and also just the fact that I genuinely believe I've never come across a person yet who doesn't eat them. You can jazz it up with salad, deconstruct it and do a Garry Rhodes "modern British classic" affair with it or just a quick fix with a big splodge of tomato sauce. It's quick, it's easy, it's fairly cheap and it's actually relatively good for you as far as a 10 minute meal goes ("meal" may be stretching it a little unless you had some chips with it) and people from 8 to 80 go a bundle on it. I hereby give you, IMHO, the English, nay, dare I say, the UK national dish (a minor technicality). Disputed. I lived in Britain for the first thirty years of my life and in all that time I do not believe I ever even HEARD of a fish finger butty, let alone ate one. On the other hand, I ate fish & chips, tikka masala, and fried breakfasts regularly, and had a roast every Sunday. Mmm, now I want some toad-in-the-hole, too. N°1 dish that I'm pretty sure most Czechs would agree on is Svíčková - Beef Sirloin with Root Vegetable 'n Sour Cream Sauce and Dumplings. The dumplings and sauce combo is ubiquitous in Czech cuisine. Another dumpling dish that is very popular is Vepřo-knedlo-zelo (Roasted pork with sauerkraut). Variant perceived as more festive replaces pork with a duck. Also the cabbage taste varies widely from sour to very sweet. The last meal won't be dumplings :) It is something that you all probably know. We call it řízek but it has many other names - wiener schnitzel, tonkatsu or breaded meat steak. I'm wondering how many nations love it as much as Czechs do. I bet that not few. God no! Svickova is made of cream not sour cream! :D That aside, I would add smazeny syr - breaded fried thick slice of cheese, usually served with French fries and tatar sauce - greasy heart attack on plate. Also Czech-style rye bread (every Czech abroad suffers without it:D) and maybe Marlenka - honey cake of paradoxically Armenian origin (and made by Czech-living Armenians for last decade), which have been became quite a boom. They serve it almost everywhere and everyone likes it. Yes, I totally agree with the hamburgers and apple pie thing for America. Before I read the response about Japanese food, I paused to think about what America's national foods were. Hamburgers and apple pies were what I came up with first. But America varies so much accross the country and it's such a mish-mosh of nationalities it's a bit difficult to decide on our national foods. Here in England we are often told that our national dish is now curry, in one form or the other. This might be a popular take away or eat out meal ok. In reality, fish and chips, the English breakfast of eggs, bacon, sausage and black pudding, and the Sunday roast of beef, lamb or pork are I believe still genuinly more representative of what we really eat, when we have the choice. Also being Lebanese, what about Hummus which Lebanon succesfully sued Israel to claim as our creation? I do agree that just because there is a "national dish" it does not mean everybody in the country eats it or eats the same version of it. That being said, I would pick the hamburger as America's national dish. When I asked three of my friends, "What would you pick as America's national food?" they all quickly responded, "Hamburgers." Of course, somebody from a different region may disagree, which makes it so interesting! I think part of the "national dish" hype is what tourists/foreigners stereotypically assign to other countries. A Chinese-Canadian woman was worried that Canadian high-school life was erasing any trace of her son's Asian heritage. So she enrolled him in a Chinese-language high school in Vancouver. “Why would I want to go to a Chinese school?” the boy said to his mother when she informed him of her plan. “Because you're Chinese,” she said. You could say the same about Canadian food. We have a cuisine – its local staples include maple syrup, salmon, pickerel, trout, apples, honey, game, fish, bread, berries, corn and wine – but until recently we never thought to call it Canadian. Toasted ravoli is popular in the St.Louis,Missouri area. Hamburgers and apple pie are faves, as well as fried chicken (when its made right, and no I am not talking KFC,Popeyes or whatever :) )fresh tomatoes from a garden is very yummy as well. Since most countries existing today are an amalgamation of 17th and 18th century principalities, kingdoms or duchies, etc., no one can definitely pronounce any recipe a "national" dish. In Europe, you most probably are looking at regional specialities; in N. America, the size of the countries forces the same conclusion on us. However, I would be willing to bet that anywhere you look in the world, you will find such a diversity of ingredients, methods of preparation, and tastes peculiar to an area that the debate will continue even as "nations" change with climate, geography and war. Otherwise, I actually think crêpes & pot-au-feu are not such bad choices if I'd have to choose 2 popular dishes across French regions. Pot-au-feu: traditional dish for homemade Sunday lunch & really appreciated in Provence as well. Rarely seen outside of France and rarely eaten in restaurants (except for very "specialized" restaurants in such as "bouchons lyonnais" or "meat/butcher-restaurants"). In Provence, the "daube provençale" would be a serious competitor to the pot-au-feu when it comes to Sunday lunch with the family. Another classic in the "slow-cooked meat" area would be the "boeuf bourguignon", originally from Bourgogne as its name reveals. In my mind French national dish would be pot-au-feu, boeuf-carottes or boeuf-bourguignon (or a similar local beef casserole). These are example of homestyle dishes which are cooked (almost ?) all across the country. We usually eat them with family or friends on sundays. In everyday's French restaurant, steak and french fries are popular, I guess. But it would not qualify as a national dish because it's so common in many countries ! i really feel that the united states national can't really have a national dish: it's more like state dishes. where i am now, new jersey is almost certainly pizza and submarine sandwiches. wiki lists hungary as goulash (gulyás), and i do agree with that. and how could i forget uborka saláta (cucumber salad) when i eat it all the time and it is served everywhere in budapest! I'd also say fish and chips for the UK and roast Sunday lunch. I'm in Scotland and I'm more likely to eat pasta than anything else. Pizza is popular too. We do sometimes eat haggis - deep frozen from the chip shop - but lots of people never eat it. I agree with the listing of hamburgers for America. It can be dressed up or dressed down, traditional or non - you can take almost any type of cuisine in the world and make a burger out of it. American burgers, tereyaki burgers, curry burgers, lamb burgers, burgers with kimchi, Tex-Mex burgers... it has always struck me as a good food for a melting pot. Dutch people are not very proud of their food but I would vote for snert (or erwtensoep), a deliciously thick pea soup for cold winter nights. I think what people cook at home the most is pasta (usually macaroni) with some kind of tomato sauce and for take-away babi pangang is very popular, a Dutch/Indonesian/Chinese fusion dish. Hutspot is also a classic Dutch dish. I believe it's called Hotchpotch in English, and it is essentially mashed potatoes, carrots and onions, accompanied by a smoked sausage called a 'rookworst'. Lastly, to complete the three, I'd say cabbage is somdething typically Dutch. The Netherlands is sometimes referred to as 'the land of seven cabbages', as one can eat a different cabbage recipe every day. Typical dishes include 'boerenkool' ('farmers cabbage', mashed potato with kale/borecole), 'zuurkool' ('sour cabbage', sauerkraut with mashed potato) and 'andijviestamp' (mashed potato and raw or cooked endive). These dishes are referred to as a 'stamppot', which means 'mashed dish', more or less. They are exceptionally delicious on cold winter evenings!! They are cheap, filling and really suitable for students on a tight budget ^^! I do love a bit of andijviestamppot with `spekjes', meatballs and gravy! It's funny that most of our national dishes seem to be very filling dishes mostly eaten in winter. It's not even that cold here in winter ;). Well, having lived out of Sweden (UK & currently Australia) for over 10 years things might have changed, and this is out of a vegeterians perspektive. I'd say clishe autumn & winter dish swedish meatballs, summer & christmas dish sill (pickled herring in various dill, mustard, onion sauces etc.) with fresh potatoes, hard bread & a swedish präst ost/hard cheese. August crayfish in dill & plenty of shnapps (shoots). Also strömming dipped in bread crumbs, pan fried in butter, brown onion sauce, mashed potatoes and lingonberry jam. Otherwise its a lot of thin pizzas with cabbage sallad, hamburgers and hotdogs and mashed potatoe in thin bread rolls(lika a A4 size sheet of paper). I'm in Canada... and I don't know that we have a national dish either. Like all areas, it seems that there are more regional specialties rather than national ones. I do like my maple syrup, and I love poutine (a Quebecois invention). When I lived on the east coast, it was all about lobster boils. When I lived on the west coast, it was all about Nanaimo bars. What I think is really interesting is the difference in what people believe is a national dish in countries other than their own, versus what people from within that country believe to be a national dish. I think it's a lot easier to reduce a country down to a few dishes from the outside than from the inside. I think a lot of people outside of the US would say the national dishes there are hamburgers, hot dogs and fries. The textbooks my junior high school in Japan used certainly used those as examples of American food. I couldnt' tell you what the national dish for the US is. there are too many options and most aren't even ours originally. Even apple pie isn't solely ours. I don't think there is such a thing as a national dish. There are national favourites which change with time and fashion. For my French national dishes I choose : Pot au feu, blanquette de veau and tomates farcies. I'm Turkish and my pick would be doner kebab, although the way we serve it is much different than the pita bread and white sauce atrocity commonly found in Europe... Proper doner is cooked by a charcoal fire and served in a sandwich or wrap, frequently accompanied by a condiment of chopped raw onions with parsley and sumac. There's another version of serving doner kebab which is very popular in Turkey but rarely seen elsewhere: Iskender kebab. The meat is served over a fluffy flatbread with tomato sauce, yogurt and brown butter on top. Absolutely delicious, and always the first thing I go for when I go back to Turkey. Given the popularization of doner worldwide, I'd pick Iskender kebab as a uniquely Turkish national dish. I live in the US and three things that I think of as uniquely American are hamburgers, New England clam chowder and chocolate chip cookies. I've commented on people's threads above, but thought I would just make a separate point here. What I notice is that there is a lot of overlapping between what would be considered 'a national dish' and 'the most popular dish'. What is cooked and eaten most in a country isn't necessarily (or, it seems, ever?!) an indication of what the country is most associated with, or traditionally famous for. With a sharing of cultures and cuisines so prevalent now the distinctions between national diets are blurred. My husband and I are both English and live here but we rarely eat 'traditional' English food - we mainly eat Asian food at home - I cook from scratch and make Korean, Vietnamese, Thai, Indian, Chinese and Japanese food. If we have a takeaway it's unlikely to be fish and chips from the local chippy, much more likely to be sushi or ramen from the Japanese place down the road (actually run by a Korean lady) or Keralan curry from the South Indian curry house nearby. I would say that people mainly eat Anglo-Italian food at home now - there's a lot of pasta, spag bol, lasagne etc eaten here. Cottage pie or Shepherd's Pie is still popular too. But I would say our National dish is roast beef etc., or fish and chips. And sriracha isn't Korean. It's Thai, and mostly labeled in Vietnamese. But I think it's pretty obvious that Korea's national dish is kimchi. From everything I've read, Koreans eat it at nearly every meal, and there are lots of varieties. I note that you listed pizza as the Italian entry. The type of pizza best known outside of Italy appears to actually have developed in Italian communities in the US; traditional Italian pizza is somewhat different, as I understand. I am Singaporean and our favourite past-time is eating! We have so many national dishes that it's really difficult to list them down and decide which one I like best. I have a long list of favourites: Singapore Chilli Crab, Hainanese Chicken Rice, Char Kway Teow (fried noodles with cockles), Bak Kut Teh (Herbal Pork Rib Soup), Roti Prata (Indian Pancake), Nasi Lemak (Malay Coconut Rice). In Singapore, everybody has his own opinion about which is the best place to get the best food and everybody claims to be the absolute authority on food. Food is just so deeply ingrained in our culture, which is a big melting pot of Chinese, Malay and Indian influences. I'm not sure...I think it's poutine, the dish consist of fries, cheese and sauce. Sousnds gross, but i find it not too bad. I'm from Quebec. 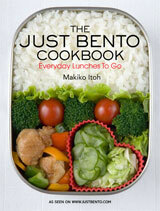 I have a question not related to the topic, but would you recommend buying bento supplies or anything for that matter on http://global.rakuten.com/ ? Singapore here! Food here is indicative of our ethnic diversity (mainly Chinese, Malay, Indian and Eurasian). There are too many well-loved dishes to choose from, but I think I'll settle for chicken rice, nasi lemak (rice cooked with coconut milk and eaten with various side dishes such as fried fish, ikan bilis and fried egg) and kaya toast. Kaya is a jam made with coconut, eggs and pandan leaves. Many foreigners know us for our fish head curry and black pepper crab, but the dishes I listed are more typical of what a Singaporean would eat for breakfast/lunch/dinner. First-generation (Czech on my father's side, Hungarian-Israeli on my mother's), so I'm pretty sure I couldn't comment on American foods -- I grew up with some pretty atypical things. The dishes that come to mind from the Hungarian side of the family are chicken paprikash with nockedli (semolina dumplings), and kerezet -- I think they call it liptauer spread? I remember my grandmother's mostly as a cream cheese base with tons of paprika and onions and some mustard, though I know there were other things in it too. My father cooked a lot, but I can't think of any one dish that was savoury that I knew of as widespread in Czech culture -- dishes he made that were definitively Czech, sure, but not national-dish scale. Which is a pity; tač was worthy of being a national dessert, IMO. Sweet yeast dough topped with fruit and something vaguely like a streusel topping = delicious. Israeli foods are a little harder to quantify because it has the same melting-pot quality as the States in a lot of ways. I'm sure many people would contend that chicken soup with matza balls could qualify as the Jewish "national" food, though, and I like my mother's enough that I wouldn't argue! ... all this discussion is making me want to spend the whole weekend cooking. Wow! I never would have guessed the ensaimada would be so popular in Puerto Rico. The Spanish wiki page only mentions their popularity in Argentina, it's the English page that mentions Puerto Rico and the Philippines and I wouldn't have thought to look at the English page. Lots of pig fat in it, so a no no for visiting vegetarians. Canada would be the Poutine and Maple Syrup. Most people will think we get our syrup from trees and do the special boiling process but thats only for the cheesy souvenir shop types. Its a really tasty treat now and then, but we just go get the ones at any store. And for Poutine you can find that anywhere! My school even makes it every Friday! It's really just fries and gravy. But you can get cheese with it or a bunch of other combinations. Real maple syrup IS made from maple sap and reduced. If you're eating something that wasn't produced like that, it's not maple syrup; it's probably "table" syrup (like Aunt Jemima's, which is mostly corn syrup with some butter and maple flavouring). As for poutine, it's not just fries and gravy!! You must must must have cheese curds (not just any cheese - cheese curds! ); they're the hallmark of poutine! For Germany: I read Sauerkraut and Curry Wurst, but which family actually cooks this at home? I think it's Rouladen and Rotkohl (red cabbage), at least I had it as a child a million times and still like to cook it now that I live in the States. In Egypt, I have to say it's hands down Koshari. Koshari is very common and sold in street sides, now more commonly sold in poshy/ethnic diners. Its basically layered dish with rice (Egyptian sticky rice), Macaroni, Brown lentils, tomato sauce that is spicy , garlicy, and fired onions and chickpeas as garnish. Totally vegan it is simply delish! Easy to make at home but required too many pots and pans! Close second and thrid are "foul medames" , our version of re-fried beans, and Falafel which we locally call taameyya. But made with fava beans not chcikpeas, so much yummier than the Syrian versions you get in the US and in NYC corners. Now I made myself hungry! We also love our pastries and pastys further in land. Slowly dieing is the Sunday lunch/dinner which consists of meat (chicken, lamb, beef, duck, turkey@xmas) with roast potatos, veg, yorkshire puddings, and lots of gravy. So to sum up England I would say Fish and Chips/ Pastys/ Stuff with gravy. It's not really national but state/regional. Maybe the most prominent idea of the American national dish is burgers and fries with a milkshake. People get really heated debating the best place to get it. But you'd miss out on the best food of the nation if the regional dishes weren't looked for more. Krispy Kreme in Alabama (my father in law gets me a dozen glazed when I visit and I eat it all! They aren't available where I live. ), gumbo in Nawlins (New Orleans), pizza in New York, hot dogs in Chicago, BBQ in Tennessee, etc. Each is unique to the region. My god it sounds so fatty, but now I'm hungry. Well, I'll have to go with regional dish! Im from Louisiana so gumbo is an essential comfort food here- either seafood or chicken and sausage. Jambalaya is a close second. Funny thing is these two dishes are mainly made by the patriarch of the family- be it your dad or grandpa. My grampa cooks about once a year and it's a big pot of seafood gumbo for thanksgiving. I don't think I've ever met anyone down here that didnt like gumbo :) Third place would have to go to just boiled crawfish with looots of spicy cajun seasoning. Trying to get gumbo, jambalaya, or good bolied crawfish outside of louisiana is damn near impossible! To me, the top 3 of national Japanese dishes are 1. Miso soup, 2. Grilled fish, 3. Sashimi. Those 3 are the most common dishes I eat at home in Japan. Of course, it will vary at each family. Yes, curry and ramen are two of the most common dishes in Japan. They both are so easy to make at home. Especially, some people eat Ramen for lunch every day. Every house hold may have instant Ramen packages stocked in their kitchen. Also there are so many Ramen restaurants in Japan now a days. They all are different with their own style, and some people call like "Ramen is an art" because each places have different style of Ramen with their own flavors and own noodles. 'Erwtensoep', also called 'Snert' is a thick pea soup that is widely eaten in Winter Time and something of a National dish. 'Stampot': mashed dishes with cabbage or carrots such as 'Boerenkool', 'Hutspot' and 'Andijvie' are also typical Dutch dishes. The above posts left out the raw herring, sometimes on bread with raw onions. I don't like it myself but it is probably the most popular fish. The Netherlands here: besides from the 'snert','hutspot' and all the cabbage dishes. We also have 'Hollandse nieuwe'. The fermented herring (cleaned and only the two fillets still connected to the tail), eaten raw with finely chopped oinions. Pick it up at its tail, hold your head back and eat. Yum. Sometimes served with red beet, oinion and potatos. For France I would add "ratatouille" and "ham and butter sandwich". Ratatouille was at the very beginning typical of provencale cuisine but now most of French people prepare it on summer even in the north of our country. I've add the "jambon-beurre" sandwich because it is still the favorite fast-food for French, and my favorite one too! Especially with a fresh and crispy baguette! I love the comments inspired by this post! I could keep reading it and learning about new foods all day. I'm from Ireland and it's not hard to think of our national dishes. There's Irish stew made with mutton, bacon and cabbage served with a parsley sauce (yum! ), corned beef, soda bread and fruit cake made with Guinness, which is dense, fruity, moist and rich. Great post topic and discussion! Nationally: hamburgers. Locally in Hawaii: saimin (variation of ramen) and plate lunches - 2 scoops of white rice (less often brown), protein (anything from a hamburger patty with gravy to mahimahi) and a scoop of macaroni salad (or lettuce salad). In Québec, it's poutine, which is a mixture of fries, cheese curd and a beef stock based gravy. Most Quebecers find that a bit shameful, since it's cheap fast food, although it is particular to this region and extremely popular. Fast food joints offering poutine are found on every street corner (often open 24h). It's such a popular comfort food that all major chains (such as McDonald's) also offer it. Personally I find that our national dish (or as in this case, the dish that most represents our culture) should be the kind of heartwarming food that our grandmothers might cook for us. Very rarely do people make poutine at home. I think a true Quebec comforting home-cooked meal would be tourtière, a meat pie made with ground pork and (traditionally) game meat, and which is still the most common thing to serve at family gatherings and at Christmas. Today, I've been trying the potato & Wakame miso soup (mixing Ajinomoto Hondashi and pieces of Konbu for the base). I had some dry Konbu seaweeds on a shelve for quite some time already (I was missing bonito flakes) but I still used it. Why do you mention that you are keeping them in the fridge ?? Is it not supposed to be stored in a dry place ? I'm a Frenchman living in Dublin, Ireland ... a french dubliner as I usually say. It's kind of hard to know what would be the "french national dish". As you know, must of the french dishes are in fact regional dishes of France (meaning from Brittany, Savoy, Auvergne, Burgundy, etc) but not ... French. From my point of view, I would say that the French national dish should be something like the "coq au vin" or the "Civet de Lapin". My favorite would definitely be the oysters and the Christmas craze associated !! That's not really a dish though. I do actually believe that there is not such a thing as "french national cuisine" but in reality a tradition of great great chefs in France. I got that thought comparing French and Italian cuisines. Italian cuisine has very well known dishes and succeeded to export them worldwide (just consider only pasta and pizza). It's one of the best, if not the best, European cuisine and you can find it everywhere. On the other hand, it's fairly rare to find any French dishes in supermarkets out of France but French restaurants and cooking expertise remain still very famous. I can actually add some references to my note and correct it since the favorite dish of the French is not the "Couscous" as I was writing above but the "Blanquette de veau". Couscous only comes second in the poll from 2006 I was referring to. Below is the list of the 10 first favorite dishes in France. As you can see 2 out of the top 3 are actually foreign dishes; "Couscous" is from Northern Africa and "Moules Frites" from Belgium. That is another illustration of what you were saying about Ramen and Curries as favorites dishes in Japan while they are actually foreign dishes. Although I'm French from France, Couscous was also one of the favorite dishes of my mother. She used to cook it for all sort of occasions, from the ordinary meal to the special diner with guests. As I said, my personal favorite, the one I'm begging for when I'm back to France, is oysters ( and also salami but the proper one). For Vietnam I have to say it's unequivocally Pho (as no 1). It's not just popular outside of Vietnam - you see Pho restaurants more where there's higher concentration of Vietnamese, too. It's just that comfort food dish we always turn to for...breakfast, lunch, dinner, when you're sick, when you want something filling but easy to eat, etc. My grandpa has pho everyday for breakfast in the past 30 years (since the war ended lols, otherwise he'd probably have had it everyday for his entire life). Although when I say Pho it means both Pho Ga (chicken pho) and pho bo (beef pho), even though the more popular pho overseas is beef pho. In Vietnam, pho is actually eaten widely on in the South and the North, but not so much in the Central land - they have their own signature dishes (most of their noodles have very little broth, different from pho). 2nd & 3rd are a bit harder to choose, but I think, just based on popularity and the "vietnamese-ness" of them: banh cuon, and banh mi (banh cuon definitely has a Chinese influence, but the fillings are different, and we dip it in fish sauce, a uniquely Vietnamese sauce (I think Thailand stole it but I might be wrong, haha), and banh mi is obviously a derivation of the French sandwich, with baguette and all, but again, the fillings and the texture of the bread are different). Interestingly, banh mi seems to be popular in NYC (see Serious Eats/NY), and it is here in Honolulu, because a Vietnamese immigrant decided to bake baguettes and sold the sandwiches as a sideline - pate version and all! In Norway the national dish is fårikål. Fårikål literally means mutton in cabbage. It is made of lamb cooked together with cabbage. Fårikal even has it's own day, the last Thursday in September. I think this is because the lambs were slaughtered about the same time. It was selected as national dish in a radioshow in the seventies. I'm from Germany. Sure Sauerbraten and all the other stuff people before mentioned are typically German food. But also mostly regional. What I think is really typically German is the HUGE variety of bread. There is bread made out of almost every grain and there are so many different styles. Sometimes I stay in my local bakery and I'm totally at loss, because it is a very, very small bakery but they have at least ten different sorts of bread and that is just on Monday, on Tuesday there are different breads and so on and so forth. And what I also think makes it clear to me that this is something typically German: no matter where I am during holidays, when it comes to the point of buying bread I'm always kind of disappointed (although it is getting better). No offence: I also like French bread or Italian bread, but all these types you can also buy in Germany. So my vote goes to bread, beer and pretzel. I'm from Nova Scotia, Canada and there are two 'regional' specialties that really aren't done the same anywhere else in Canada. Donairs (invented here) - relatives of the Gyro but with a donair sauce (condensed milk, sugar and vinegar usually). I know they serve them elsewhere (there was a scandal in Alberta after a bunch of people got sick because they didn't double cook their meat). Also, Garlic Fingers. Here they always come with donair sauce for dipping. It's pizza dough covered with garlic butter, cheese and parsley and baked until golden brown. I thought it was too simple and delicious a concept to NOT be everywhere else but i've found it hard to get once I leave Eastern Canada. Your donair sauce sounds very similar to the salad dressing I grew up with in New Zealand. A can of sweetened condensed milk mixed with malt vinegar and a little mustard. This was the only salad dressing I ever tasted until I was in my 20s. Standard in every house in New Zealand until maybe 30 years ago, served over a salad of finely sliced iceberg lettuce, grated carrots, grated cheese, sliced tomatoes and sliced hard boiled egg. With maybe a few spring onions if you were being adventurous. This salad is looked down on these days as being completely uncouth, but it is actually quite tasty. For Spain, I'd definitely say it's Tortilla de Patatas... Spanish omelette!! I've lived in diferent regions, and everyone eats the famous paella, some stews like fabada and such... But every in region people makes them very different ways! However the Tortilla and some variants (either with onion or some other vegetables... but always potatoes!!) is pretty much the same everywhere, every Spaniard has eaten at leats once in his or her life a Tortilla sandwich!!! In Venezuela it's definitely an hallaca. It's a bit like a tamale in that it is a meat mixture wrapped in yellow corn dough which wrapped in plantain leaves and then boiled. But it has somethings that tamales don't usually have like olives and raisins. Also pan de jamon--and the famous pabellon criollo which in different variations is popular in other places in the Caribbean it is white rice, black beans, shredded beef and sweet plantains. Also the reina pepiada which is an arepa, (here a white corn meal bread) stuffed with mashed avocado and chicken. If i had to just pick one for the US, I'd go with Gumbo. Its not an omnipresent dish, but the fact that it was developed by the French-Canadian exiles who would one day become the Cajun people of the south, and combines aspects of food from all over the world, I feel it is a culinary representation of my country's tradition of adopting and combining ideas from other countries and cultures. Hello, I'm from Indonesia. :) As the biggest archipelago in the world, I think it's quite impossible to decide which ones should be the national dishes. Every province (even town, sometimes) has different specialties and favorites. These days many tourists visit other cities just to sample their delicacies. I chose rendang because it's perhaps sold in many parts of Indonesia. It is quite spicy but savory, too. And due to the spices involved, this dish can last for days. Satay is also a favorite and most Indonesians I know have tried at least one type of satay. As for soto ayam, it's very easy to make and tasty too, and a favorite for young and old alike. Most popular dish: Tacos, in Mexico you can see tacos everywhere. Another Mexican in here (well Mexican-American to be exact)! I agree with the Mole, the Chiles en Nogada, and tacos. I don't consider tacos as a national dish because there are so many others and very good. Tacos are like hamburgers in the US, so many varieties and so popular; they sold at every corner. I'd like to say tamales are the national dish and you can't forget the chocolate abuelita caliente, hot chocolate, to accopany it. Daal in India. Inspite of enormous amount of regional variation, the lentil base is a daily dish at every home. I'm not sure if there is a real national dish for Germany. At least the two dishes stated by wiki are surely NOT. Currywurst? Sure, you can buy it in nearly every snack bar or soccer stadium and it's a stable of a lot of cantinas, but for me a national dish is more like something from the "nearly every (grand)mother cooked it". While both my parents and I were born in the western part of Germany, one of my grandmothers was born in Upper-Silesia (which is now part of Poland). I can't remember ever eating Currywurst or Sauerbraten at home. And both of my grandmothers cooked a lot traditional dishes. Sauerkraut? Yes! Rouladen? Yes, both the meat and cabbage ones. But Sauerbraten or Currywurst? Never ever! There are things that most, but not all, Americans eat (how many hundred million of us are there now?) and there are things that are ubiquitous in the U.S. and hard to find in many other places. Burgers. Not necessarily beef. Fish burgers, falafel burgers, turkey burgers, whatever--putting a hot patty in a split bun with fixins is definitely an American thing. Fries or grits. One or the other will "just come" with just about any dinner dish you order at a moderately priced sit-down restaurant that serves burgers. The potatoes may be called something else, but fries is fries is fries. Pancakes: thicker than crepes, somewhat fluffy on the inside, usually with butter and some type of sweet syrup to taste. A breakfast thing. Peanut butter. Any store that sells food on at least one rack of shelves automatically sells peanut butter. You can find jars of peanut butter next to the highly processed artificially colored snack foods at gas stations, for crying out loud. Corn on the cob. Must wear napkin tucked into shirt collar in order to enjoy properly. Ketchup. Automatically on the table at most moderately priced restaurants. This is a salty-sweet-spicy, tomato-based ketchup that is so thick that getting it out of a glass bottle requires holding the bottle upside down and w-a-i-t-i-n-g. I get the impression that while American-style ketchup is easier to find outside the U.S. than peanut butter, you still have to get it from an American exporter. In New Zealand and Australia peanut butter is also available in supermarkets, dairies (convenience stores), and petrol stations, but not in the snack section. It's in with the jam and vegemite. I'm 55 years old and went for about 3 years in primary school having nothing but peanut butter sandwiches in my school lunch, much to my mother's disgust. Completely ubiquitous. BUT not with jelly - PB&J is an American thing. Corn on the cob is also popular. a) when it's in season it's sold in huge piles in the supermarket, b) when it's not in season you can buy it frozen. You can get it (deep fried, delicious) at pretty much any fish and chip shop, but you never see it at a proper restaurant. We have what we call tomato sauce, made by Watties, which is part of Heinz. It's basically ketchup with a different name, although we do also have various brands of ketchup. Watties T-sauce is indispensable on sausages cooked outdoors on a barbecue (what you call a grill) or on a fire. Also necessary on cocktail sausages at kids' parties, on sausage rolls, on Shepherd's Pie, and on hot dogs (which you would call corn dogs). I'm not a fan of the stuff, but I do need it on those. Many Kiwis also slather it on fish and chips (fries), steak, veges, etc etc. Some of them will put it on just about everything except ice cream. Deep-fried corn on the cob? What a marvelous idea! It sounds as though peanut butter is easier to find, at least in some places, than it used to be. I think peanut butter and jelly is part of an American tendency to pair sweet and savory tastes that we probably got from past waves of German immigration. (Interestingly, a lot of what we call our English heritage is actually German, because many German immigrants immediately learned English, Anglicized their names, and claimed an English background. This goes for food as well.) Also note the practice of serving pancakes (sweet, made sweeter with syrup) with sausage and/or eggs (savory), cranberry sauce (sweet) with roasted turkey (savory), and so forth. Speaking of syrup, does anybody know of other countries with a tradition of making fruit syrup for use as a table sauce? The store brands are not much more than flavored and colored corn syrup, but the old-fashioned types are made in the same way as clear fruit jelly (the relative of jam, not the gelatin dessert), just thinner. Fruit syrups are used almost exclusively at breakfast, for pouring on pancakes, French toast, etc., but they can also be used to flavor that sublime American creation, the sundae. We do have some difficulty with peanut butter these days though. Trying to find peanut butter that's not made in China is a bit of a chore. The Chinese stuff has added sugar and a lot of people, me included, don't like it that way. Ours is traditionally not sweet at all, it has salt in it. See http://www.reallygood.co.nz/really-good-peanut-butter and http://www.geekzone.co.nz/Jama/3133 for how we Kiwis feel about our peanut butter. I have a machine with which I can make my own, and a number of supermarkets used to have grind your own as well, but I haven't seen one of those for ages. I don't know about countries that make fruit syrup, but I make it myself. It's a by-product of making candied fruit, and being the thrifty person I am I keep it and use it to flavour yoghurt and pour on whatever I think might be improved by it. Ginger syrup is a goodie too. If you can get your hands on any, Adams Old Fashioned is the original peanut butter: nothing in it but peanuts, peanut oil, and salt. It's also the most expensive IME and of course it has to be stirred. Cheap American supermarket peanut butter is nasty IMO--it feels greasy in the mouth, tastes like peanut-flavored marshmallows, and has all kinds of extra uck in it. However, I have convinced my husband, who was raised on Skippy (hack spit), to try the new "Naturals" varieties of leading-brand peanut butter. They contain peanuts, sugar (not corn syrup! ), palm oil (not hydrogenated whatever), and sometimes salt. Not bad. If I were cooking with peanut butter instead of just putting it on toast, however, I would buy Adams instead. My late mother-in-law made seedless jelly every year. If the pectin did its job, she called it jelly; if not, syrup. High fructose corn syrup and sugar are actually pretty similar, both chemically and nutritionally. Ordinary corn syrup is glucose, which is probably better for you than either HFCS or sugar, although it's less sweet, so you get more calories per sweetness so to speak. I'm not keen on the idea of palm oil either. What I use to make peanut butter is a single auger juicer like this: http://www.oscarjuicers.co.nz/. You pour peanuts in the top and peanut butter comes out of the bottom. I actually bought it for making pure fruit sorbet (frozen fruit in, sorbet out) but it's handy for peanut and other nut butters. The one thing I really don't use it for is making juice. I am half bulgarian, half japanese. you already covered the japanese part, so i will opt for the bulgarian. as everywhere else in the world food is regional, but there are few things that are popular in all the areas. 1) Tarator - it is a chilled yogurt soup with cucumbers, dill, garlic, walnuts, olive oil. I just had a thought re New Zealand's national dish - if you were going to choose a dish that is not available anywhere else, it would have to be muttonbird. This is not to say that all New Zealanders like it, or have even tasted it, but it is definitely specific to this country. It is almost fledged chick of the sooty shearwater, which is grabbed from its nest by Maori (only certain tribes are allowed to harvest them) and salted. They taste a little like anchovy. Netherlands: Do not forget smoked eel...a delicacy. Syrup waffles, at market day the vendors bake, split and fill them with butter syrup. Capucijners a garbanzo bean like pea, cultivated by Monks in the middle ages. Soaked, boiled slowly, laddled in a deep bowl, with sides of chopped onion, chopped pickles, fried thick bacon slices and a little bacon grease poured over the capucijners... pure heaven. Beschuit, a round tender cripy rusk,and rogge brood,a somewhat sweet sticky black bread both topped with aged Gouda cheese, or Leyden cheese..or jam.memories... Chocolate sprinkles on buttered bread. Muisjes, pink or white sugary sprinkles on beschuit to celebrate the birth of a boy of girl. Orange ones to celebrate the birth of a royal child. I agree with the new herring... just caught, cleaned and salted. The race back to shore to offer the queen the first ones. I wonder if that tradition is still happening. Well, I am a Canadian-Guatemalan. I was born and raised in Guatemala so most of the dishes I know are Guatemalan although my mom being Canadian I do know a few Canadian recipes. But to answer this question I'll stick to Guatemalan dishes. I have decided to break it into 3 groups since it's so hard to name just three. 1. Definitely black beans. You can make black bean soup in various different ways, "colados" which is using you black bean soup and then passing it through the blender and cooking it again then serving with cream, then the next phase is "volteados" which is refried black beans. So from an initial recipe you can get 3 different dishes. Also, black beans can be used in a sweet dish: fried plantain filled with black beans that have been cooked with sugar. 2. Cocido: Traditionally it is a beef stew with vegetables, usually corn, cabbage, potato, carrot, güisquil, and then can have others like plantain. My mom prefers to make it with chicken so the brothe is not so fatty. The soup is served in a bowl and the vegetables and meat are served separate on a plate with a side of white rice which most people add to their soup and a slice of lemon to squeeze in the soup. 3. Kak'ik: This is more of a regional dish but easy to make so it has progressed to many areas of the country. It is a Turkey leg soup made with mint and and served with avocado and white rice. 1. Tamales: There are red and black tamales. The red are a tomato base and the black are a chocolate base. Each region has it's recipe but basically they are made either with a corn "masa" base or a rice base. They are put boiled in a plantain leaf that had been tied shut. It is a minimum 2 day process and when you make them usually it's with a fair amount of women and you make for at least 50 people at a time since it is so time consuming. I have yet to learn how to make them. 2. Fiambre: This dish is made for November 1st, All Saints Day, and traditionally people take it to the grave sites of their dearly departed. It is a salad with tons of vinegared vegetables and processed meats. There are 2 types, white and red. The difference is basically if you let all the veggies soak with the beats or you add them ad the end. There are competitions in different places in the country and to win best fiambre is a major deal. 3. I am going to add black beans again here since it is such a staple. One can also go to the supermarkets here and buy prepackaged ready to make traditional soups. They don't taste exactly the same but are time savers and you can take them on the airplane to try out elsewhere. These are also very traditional dishes that are usually very time consuming. 3. Mole- not the Mexican really spicy mole, this is a sweeter, definitely mild version.